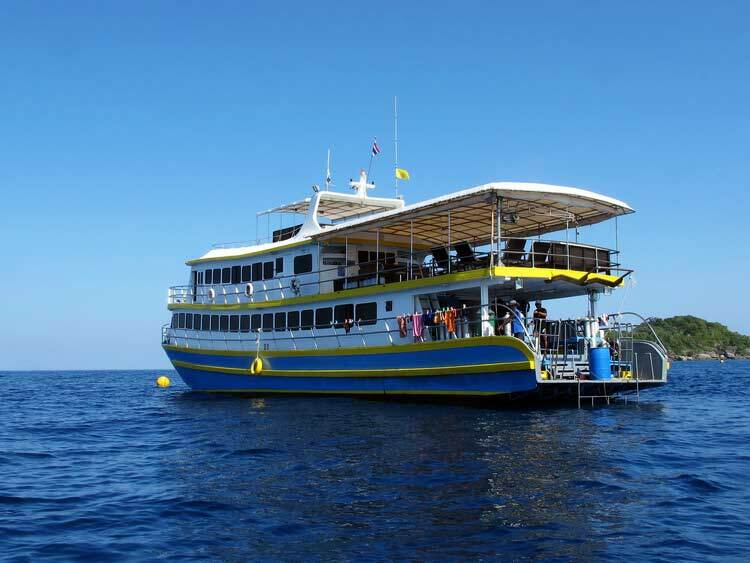 MV Oktavia | Spacious 5 days Similan islands diving liveaboard. 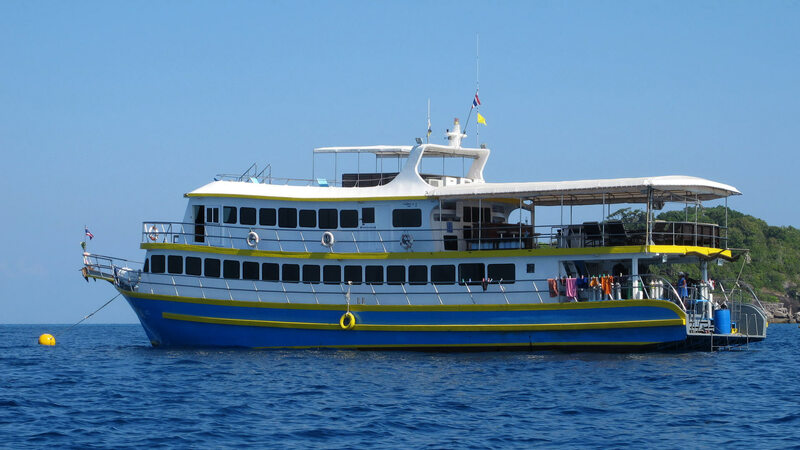 The 5 days / 5 nights Similan islands diving liveaboard cruises among the Similan Islands, Koh Bon, Koh Tachai, Surin Islands and Richelieu Rock where you make 19 dives. An early bird breakfast (tea/coffee and toast) is served at 06:30. 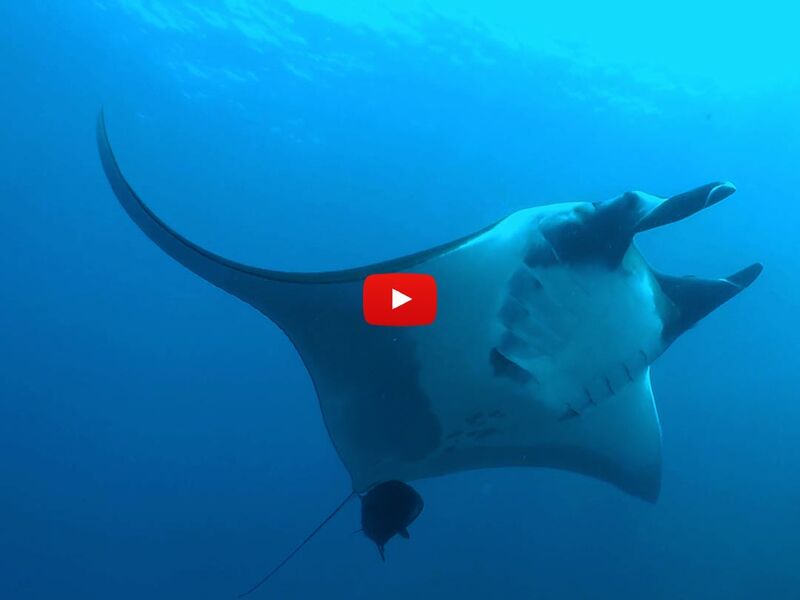 This is followed at 07:30 by the first dive at the Similan islands. You return to the boat around 08:30 for the main breakfast. Feast on fried, boiled or scrambled eggs, sausage, pancakes, bread, lots of fresh fruit, and more! 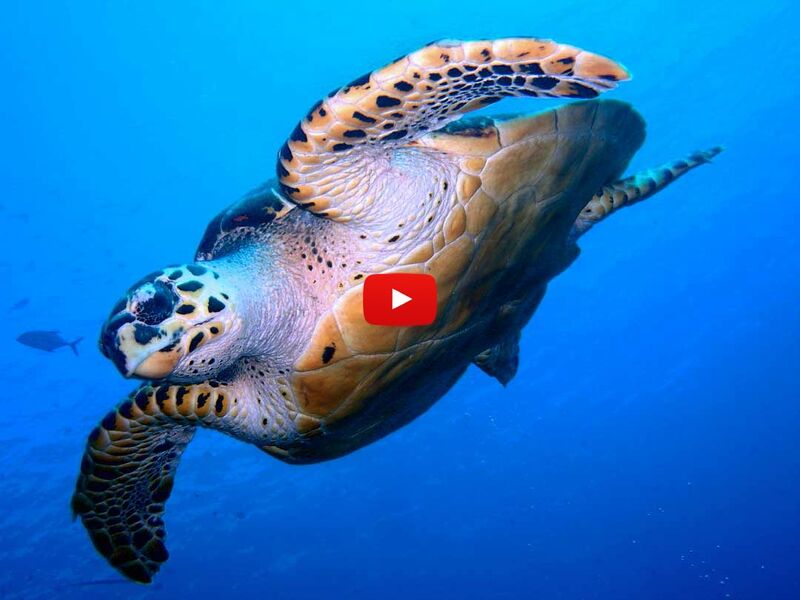 After breakfast, most people either relax on the sun deck, take a nap in their cabins, enjoy a talk with fellow guests, tag along on a beach run or a Similan islands excursion, or go for a snorkel session on their own. At around 11:30 it is time for our second organized dive. This is followed by lunch. Choose from 3-4 delicious Thai and Western dishes. 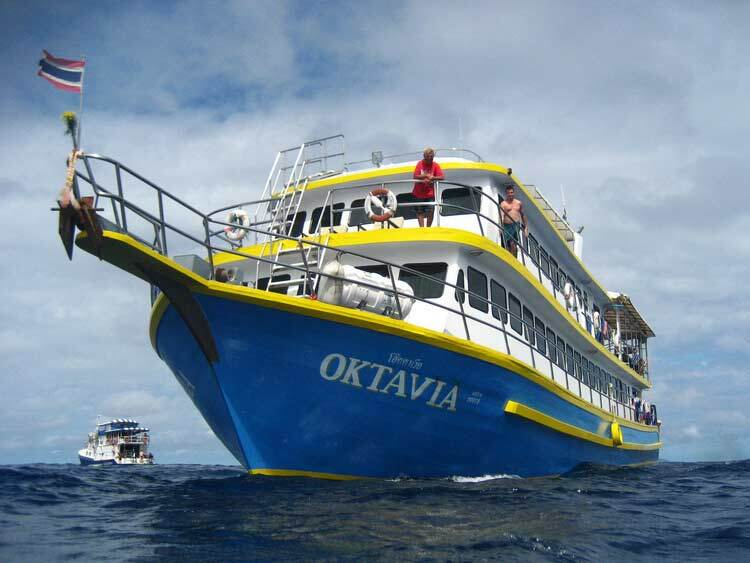 We promise you won’t lose any weight while cruising with M/V OKTAVIA! 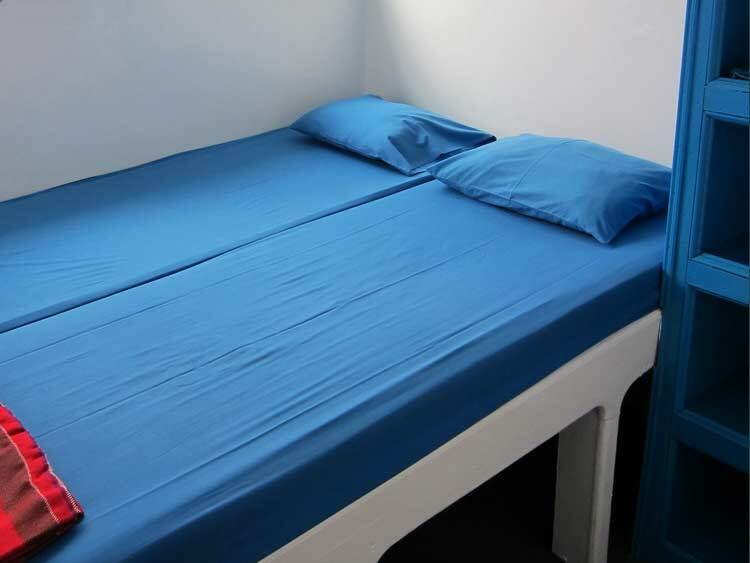 After lunch it is once again time to work hard – continue reading in the hammock, tanning on the sun deck, napping in the cabin bunk, snorkeling in the warm and clear water, or some other grueling activity. 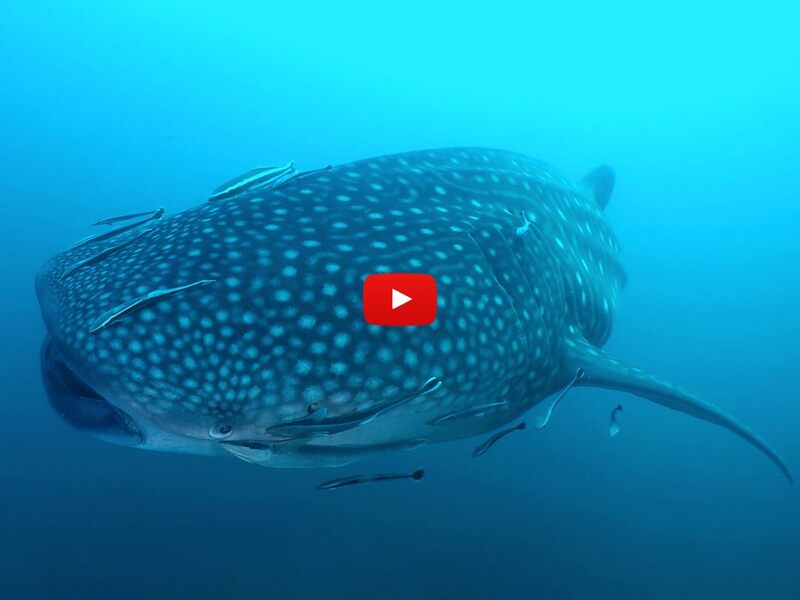 The third organized dive and snorkel session is scheduled for around 15:00. After that, we serve some snacks and fresh fruits. 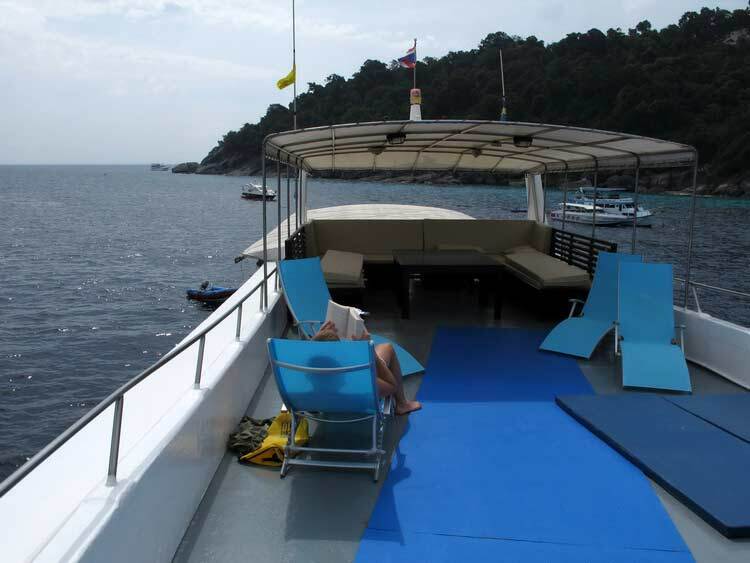 The following couple of hours are perfect for more relaxation on board or on the beach, looking in fish guides, a swim or snorkel session on your own, or whatever else you feel up to. Just don’t miss the sunset at around 18:00 – it is extremely beautiful! Around 19:00 it is time for a night dive for the ones that still want more diving. Dinner is served at 20:00. 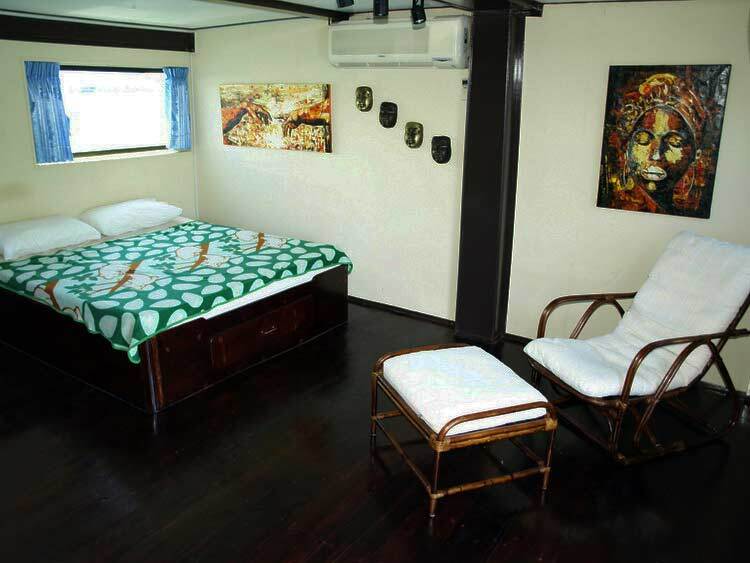 The rest of evening we sit around talking over a couple of cold Singha Beers, perhaps looking at someone’s digital photos from the days’ diving or snorkeling sessions, playing a game, or watching a movie on the flat-screen TV. 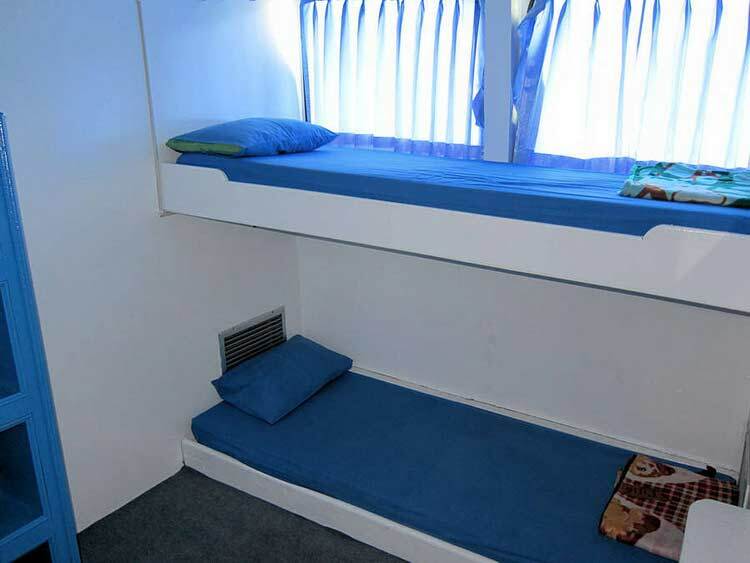 Having a wonderful time makes you tired, so most people head for their cabins and bunks at around 22:00. Some head for the sun deck to sleep under the stars. Try it – you’ll love it! 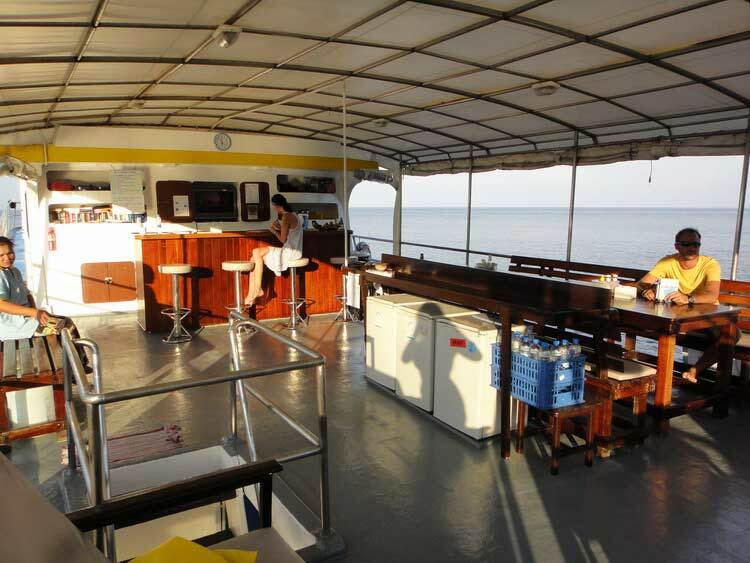 The Similan islands liveaboard MV Oktavia is a spacious liveaboard with maximum 20 guests onboard. 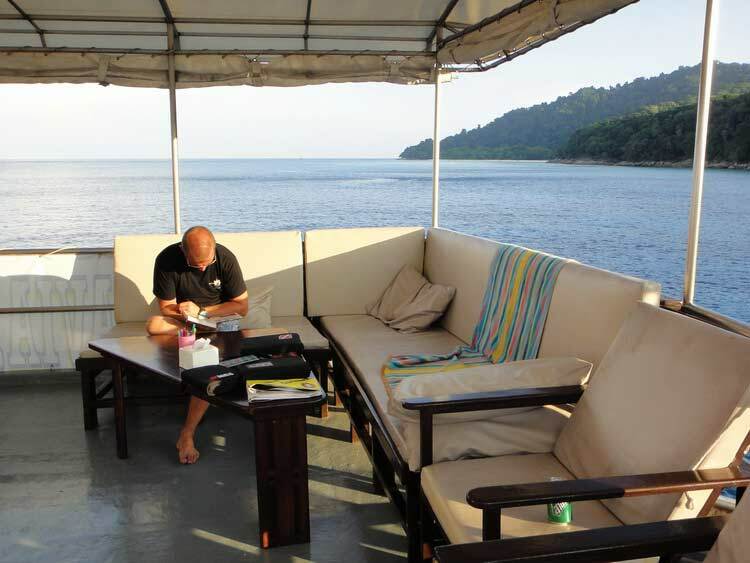 Prices for certified divers are based on those trained to dive to 30 meters (please contact directly for junior divers). 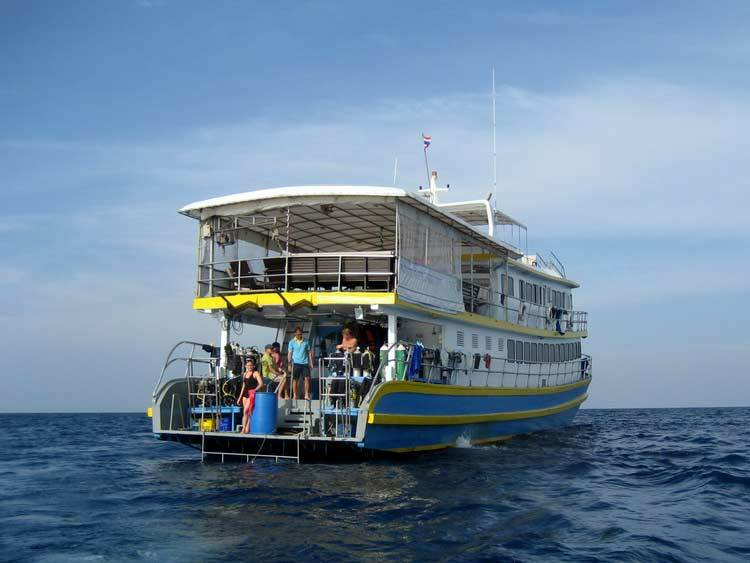 If you have not received training to dive to 30 meters please add THB 1,500 to your Total Cruise Price for a single ‘Deep Adventure Dive’ training course – many of the dive sites we visit require diving deeper than 18 Meters.